Trends in laptops change every week, but finally, people opt and choose the device which is capable of doing every task they want to perform. 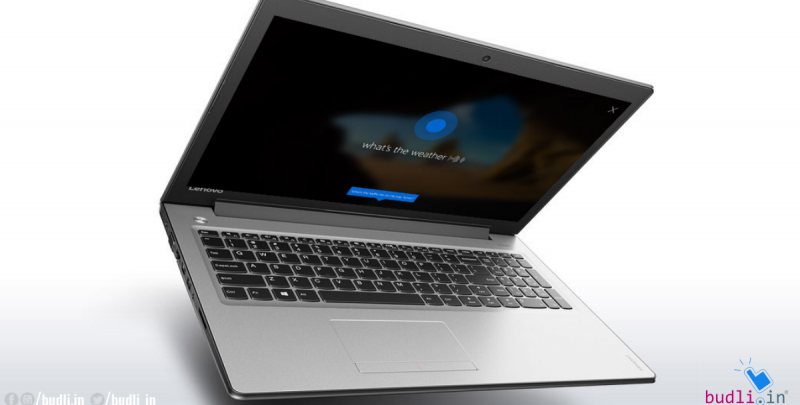 Lenovo Ideapad 310 comes under the same category but it’s not an ultraportable device but it’s a device which can manage almost every task that they want to perform. Lenovo Ideapad 310 powered by Intel core i5 7th generation, Windows 10 OS, it has 2 GB Intel HD graphics, 8 GB DDR4 RAM, 15.6-inch FHD TN GL (SLIM) Display screen and it is equipped with 1 TB storage, 1 MegaPixel webcam and 2 cell battery. Let’s see what are pros and cons of the Device. Ideapad 310 comes in 15.6-inch screen. The body is made of a Synthetic material plastic body. Lenovo offering this laptop in different colours making it an interesting choice for different users Even the body comes in plastic the paint on top and bottom finish gives it an attractive look. Lenovo IdeaPad 310 has lots of connectivity options including USB 3.0 Optical Drive, Bluetooth 4.1 Combo with WiFi Card, 3.5 mm Combo Audio Jack, VGA, HDMI, RJ45 Gigabit LAN and 4-in-1 Card Reader (SD, SDHC, SDXC, MMC). There is no Type C-port present. Lenovo Ideapad 310 comes with a 15.6-inch FHD TN GL(SLIM) Display display. It has a resolution of 1920×1080 pixels and offers a contrast of 741:1. Improving the visual experience. The display gives a good experience while watching videos or playing games. Lenovo Ideapad 310 is equipped with powerful hardware which lets us do everything and every task we want to perform. It can handle numerous intensive application easily. It is equipped with stereo speakers producing a good amount of sound. You can enjoy music as well as games on it. Coming to RAM, this laptop is equipped with 8 GB RAM DDR4 and it has 2133 Mhz speed and 1 x 8 Gigabyte Memory Layout. It has 1 TB HDD Capacity with 5400 RPM and it has SATA type HDD. Coming to Battery life Lenovo Ideapad 310 has 2 Battery cell of Li-Po and has a battery life of 5 Hours for one time full charge. If you are someone who always wants the latest technology in hand then it is difficult for you to keep changing devices every time there is a new one in the market, instead, the best option is to opt for refurbished devices. The only best place to find good quality refurbished electronic gadgets is budli.in. Budli is an online store for refurbished devices and has got many praises for the quality of goods being sold for years now. Budli has a wide spread of gadgets to choose from according to one’s needs and interests. The best part is that the products on budli.in are priced much lower than others, thereby giving you the best of the best deals possible. Hurry and go shop from budli.in.